It just gets better! What a night at the Fillmore! The show was completely sold out and their were only 12 tickets available at the door. Miracle fingers were everywhere, and anyone who got their miracle knows this was THE show to have one for. Donna lights up a room with her smile wherever she is and she has been ON... "Looks Like Rain," was as good as any version I've ever heard, and they tore up "The Music Never Stopped." The dance floor at the Fillmore felt like tectonic plates were shifting underneath us like a 7.0 quake! It was surreal how much they sounded like '77 Dead. The best summary of the evening came as Dave Mackay, Donna's husband turns to us during DSO's 1st set and rhetorically says, "You think Donna's having a good time up there?" We are all jazzed at what a good time she has been having! Watching Donna onstage doing all these old Dead songs is fantastic. 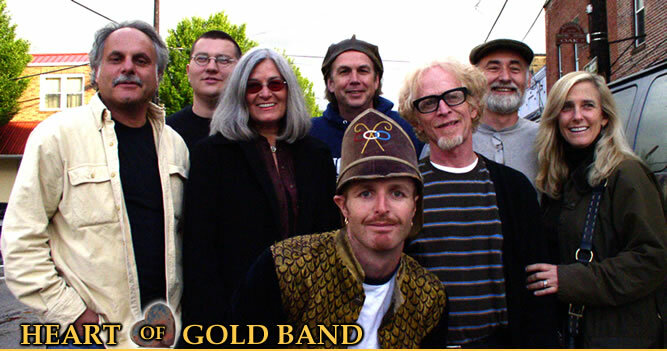 The Heart of Gold Band - Tour Kickoff! Thanks to everyone who made this night so special and fun! There were friends and family from all over and from waaaay back. We are on our way to the House of Blues in L.A. but wanted to post the setlist for everyone. Thanks again all, it was a truly beautiful evening! Opener: Joseph Langham on acoustic guitar & vocals, with special guest Pete Sears on keyboards. ~1ST SET~ Let It Ride, The Animals, Catfish John, From The Heart of Me, Goin' To Florence > Show Boat, This Time, A Visitation, Is This Love? This was the first show Donna did with DSO as they passed through Alabama on tour.